Do you remember how it was when you saw and heard your first Harley? You wanted to try it? To feel it? To hear it? To RIDE it!!! A small step for you, a big step to your dream: our rental Harleys are available for your own personal adventure. 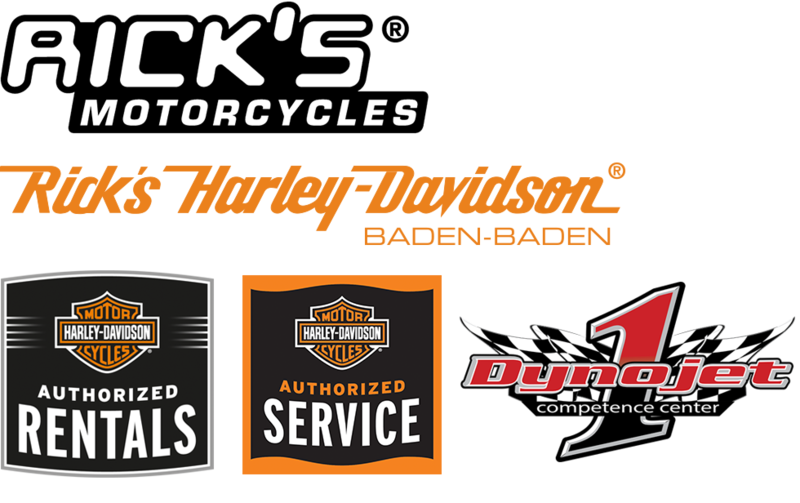 Rick’s Harley-Davidson is an official Harley-Davidson rental company and offers with different models and rental periods something for every taste and purse. No matter if of you want to explore the roads of the nearby Black Forest at the weekend or the close by Alsace, or even go much further. Rental is for everybody and very simple: you have to be a minimum 21 years of age, have an unlimited driving licence class A (1) and a commonly used credit card. Then you select the bike model and you’re off on the road. Advance reservations ensure you get the model you want. We also offer gift cards for friends and relatives. 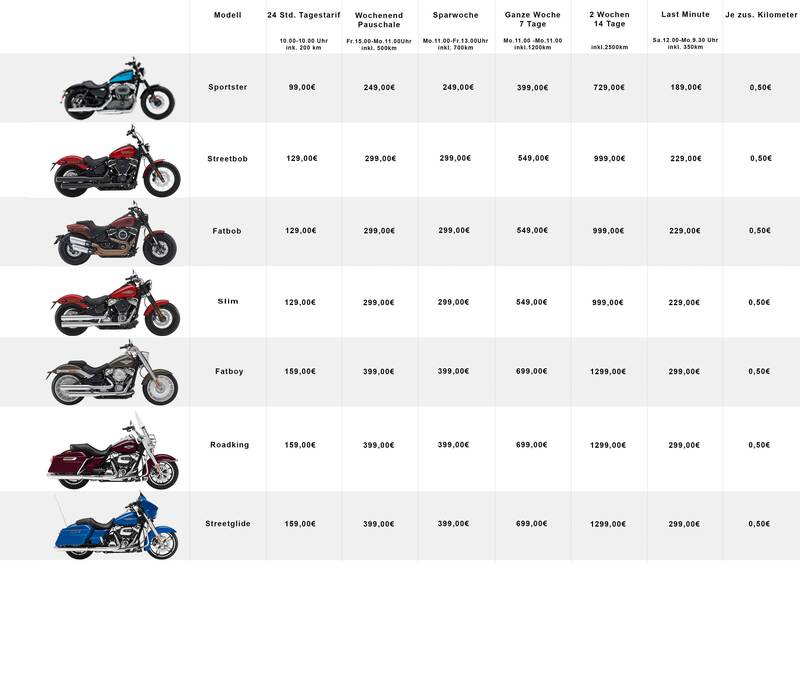 All motorcycles are insured fully comprehensive with an excess of €2,000. This sum can be deposited with your credit card or in cash. Reservations are possible, and the rental cost has to be paid when handing over the bike, when you will receive detailed instructions. The required safety clothing is not part of the rental contract. Book your dream bike for your next ride either by telephone on +49 7221 39390 or send us an e-mail with your contact details and required date.